As a person involved in IT, i've been always irritated by how much inproductive is our society. Almost nothing in a modern world (no matter the Government Regime be it democratic or communistic is pushing you to become productive) on the contrary the modern culture preached habits are putting you into habits which are both unhealthy and make you live a very boring and unsuccessfuly life. There are plenty of books already written on the subject on how to be productice, however people are so busy to produce more and more and be materially successful, that most of the people we do is unwise and lacks any efficiency. 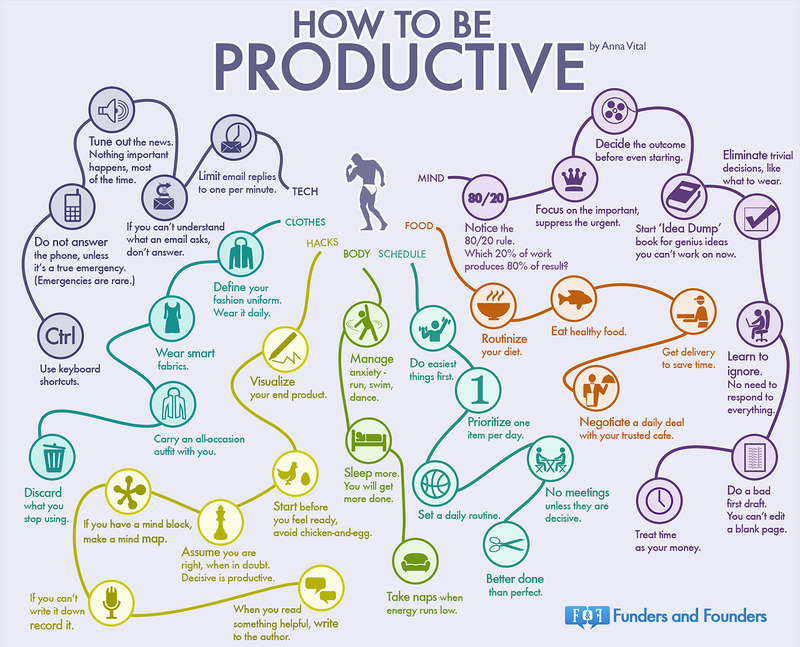 Below Infogram definitely gives a clue what is wrong with most people's regime which tend to produce less and less day by day, even though they put more and more effort in what they do. This entry was posted on Wednesday, March 18th, 2015 at 6:39 pm	and is filed under Business Management, Curious Facts, Everyday Life, Self Healing, Various. You can follow any responses to this entry through the RSS 2.0 feed. You can leave a response, or trackback from your own site.